GO Energy + Protein Bars are a nutritious, easily digestible high carbohydrate and protein based snack; made from fruits, wholesome ingredients and soy protein isolate. Delivering additional carbohydrate during exercise is known to improve performance, race times and delay the onset of fatigue; while protein contributes to the growth and maintenance of muscle mass. DON'T STOP. SCIENCE IN SPORT. GO Energy + Protein Bar can be used during exercise to meet fuelling requirements, before endurance exercise as a high carbohydrate, high protein option or as a daily snack to meet carbohydrate and protein requirements. This nutritious snack can be used to increase the daily carbohydrate content of an athlete’s diet and taken during exercise can contribute to fuelling performance. Proven by thousands of athletes in the world's toughest races, it meets their demanding energy needs. Depleting your carbohydrate stores during exercise is one of the major causes of fatigue, additional carbohydrate is essential to maintain performance. Evidence is now suggesting that endurance athletes should also consume protein, in addition to carbohydrate, during exercise so as to prevent the protein breakdown (and hence promote better training adaptation) that occurs during prolonged exercise of moderate to high-intensity. It is also advised that protein is consumed within 60 minutes prior to endurance exercise. 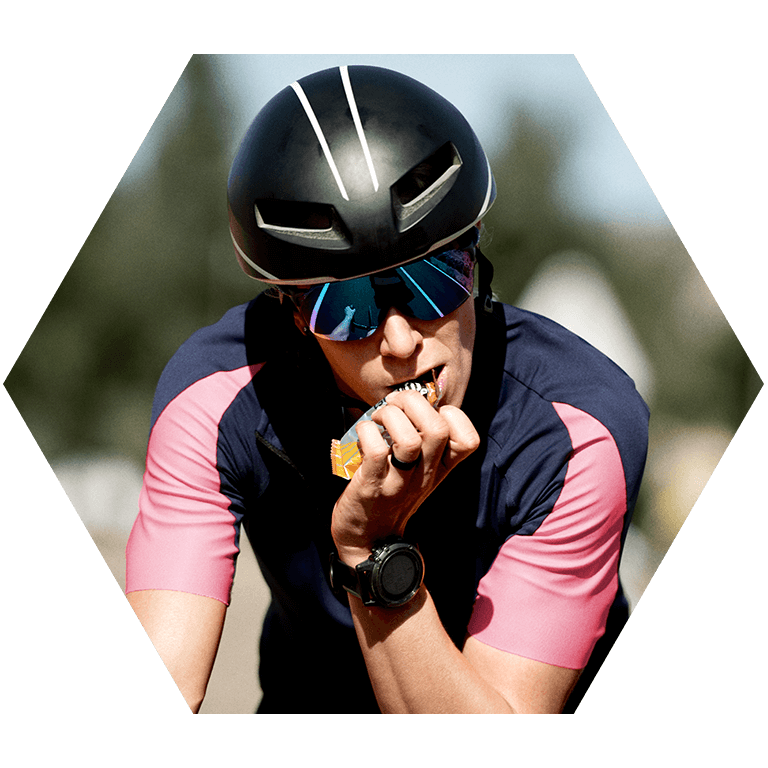 Our complete product range is developed using a world-class approach to banned substance testing, providing assurance for athletes. For more information on Informed Sport & our unique world class approach, click here. *Reference intake of an average adult (8400kj/2000kcal). Fruit juices from concentrate 26% (Grape, Orange), Cereal 26% (Rice & Soya Crisp [Rice Flour, Soya Protein Isolate, Oat Flour, Rapeseed Oil, Salt, Soya Lecithin], Oats), Maltodextrin (from Maize), Dried Fruits 20% (Raisins, Apricots), Soya Protein Isolate (10%), MCT Oil, Fat-Reduced Cocoa Powder, Orange Oil, Emulsifier: Soya Lecithin, Humectant: Calcium Lactate, Flavouring. For allergens, including cereals contianing gluten, see ingredients in bold. When should I eat these versus any of the Science in Sport gels? 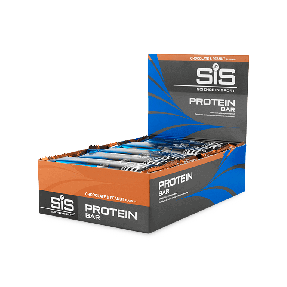 When on the bike a commonly used strategy is to use solid foods like GO Energy + Protein bars during lower intensity sections of the ride, because solid foods require more blood flow to digest compared to other energy products. Exercise causes muscle protein breakdown, which can affect performance if not managed correctly. While on the bike you will be using a huge amount of energy, leaving you at risk of breaking down lean muscle mass to maintain energy levels if you become deficient of carbohydrate and need energy quickly. Emerging evidence is now suggesting that endurance athletes should also consume protein, in addition to carbohydrate during exercise so as to prevent the protein degradation (and hence promote better training adaptation) that occurs during prolonged exercise of moderate to high-intensity. Will they fit in my cycle jersey pocket? Yes! 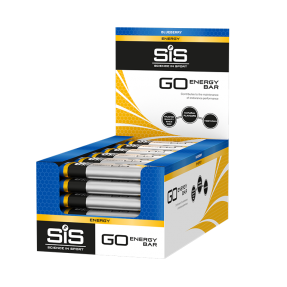 GO Energy + Protein Bars are lightweight and compact, designed to fit in jersey pockets, cycle bags and waist packs. Are these bars gluten free? GO Energy + Protein Bars are not suitable for vegan, coeliac and gluten free diets. What is the sugar content in these bars? GO Energy + Protein Bar (60g) contains 18 grams of sugar from fruit sources, with no added sugar. When should I have a bar? 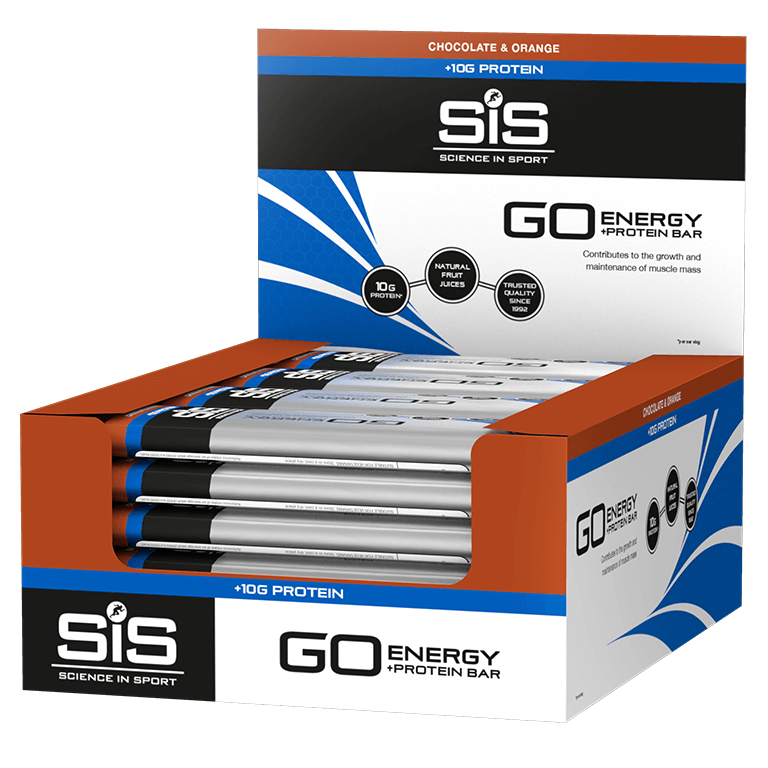 GO Energy + Protein Bars can be used during exercise to meet energy demands, before endurance exercise as a high carbohydrate, high protein option or as a daily snack to meet carbohydrate and protein requirements. Are they Informed Sport Tested? Yes, Science in Sport GO Energy + Protein Bars are tested under the Informed Sport programme. Bought on offer, love the taste. N/a, I can’t review this product, I didn’t buy this. A sensible size bar to provide energy for approximately 30 minutes exercise with good content of protein to help support healthy diet. very very very very very very good good good good good!!! Love the taste of these bars which i always use on practice runs and races. These are great to pop in your saddle bag. Great for cycling and also if feeling a little jaded. Like the bars but the taste isnt brilliant so will stick with chocolate and orange. Tasty edible sport nutrition, although I prefer the chocolate orange flavour. I was disappointed with this product, not much flavour and left me with a chalky dryness in my mouth.